A recent report has found that 100 per cent of McGill students have noticed a decline in their emotional stability levels over the last week. 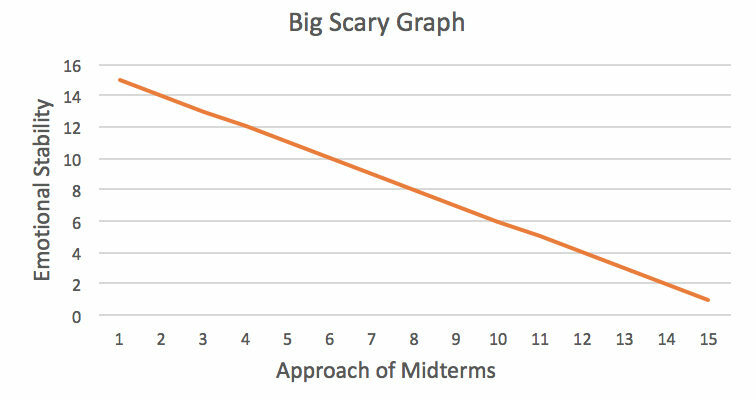 While some say that this epidemic may have been caused by factors such as annoying cold winds and constant painful falls while walking to class, it has been proven that the root of the decline is the fast approach of midterms. One student, who we found sobbing laying down in the middle of the Y intersection, said that he is expecting this to be the worst midterm season yet. The approach of midterms has taken huge tolls on the state of many students’ friendships and relationships as they are forced to decline hanging out with their pals to actually figure out what’s going on in their classes. Studies show that most students have sat out at least three of their lectures in the past weeks despite the recent actually manageable weather, and are now forced to go to some classes to try to learn a bit. U1 student Clarissa Rook commented that she has experienced a lot of drama in her friend group due to the approach of midterm season. 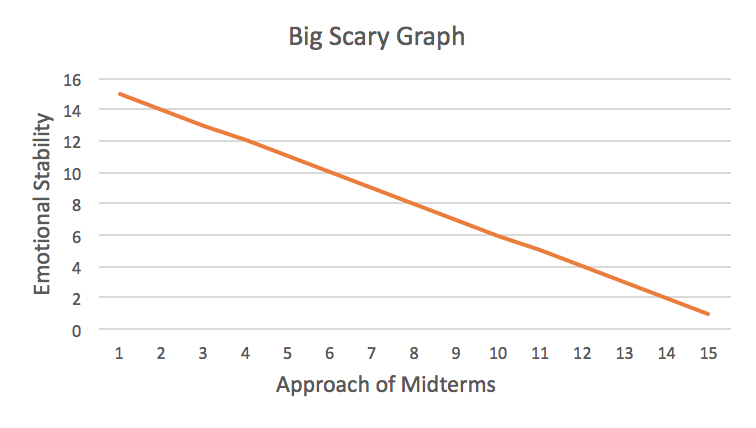 In addition to posing a threat to relationships, the report found that the approach of midterms is causing many students to spend a dangerous amount of time in the library, leaving them with no access to decent food. As many students are too lazy to meal prep and/or still don’t even know how to cook pasta, they often go to the library forgetting that the only source of nutrients that can be found there is from Première Moisson, which leaves almost all of them unsatisfied (and broke). Emma Jones, U2 Arts, says that she is never able to buy anything due to the restaurant’s high prices for food that unfortunately isn’t really that good. While many students are currently feeling increasing emotional instability, once midterms are over, they will be able to return to living as if school doesn’t exist, prioritizing their extracurriculars once again, and of course, procrastinating doing all their assignments. Though the next few weeks are estimated to be a very difficult time for all students, it’s important to remember that this is only a small bump in the road and that finals will be a lot worse.